With every Handpan requiring thousands of hammer blows, in its creation - from the sinking, to the shaping, to the tuning, of the steel - without the humble hammer, there would be no Handpan. 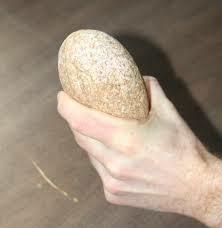 Believed to date back to 2.6 million BC, hammer, during the Stone Age, as you might imagine, were little more than heavy, fortunately formed rocks that were the right shape for gripping, and banging. And while not ideal, by modern standards, these basic tools are believed to have served mankind relatively well, with little evolution, for the next two million years, or so. Not until around 30,000 BC, did the hammer’s form change significantly, when some bright spark decided that what the hammer really needed, was a handle. And so, strips of leather or sinew were used to add wooden or bone handles to the stone heads. An advancement that not only saved a lot of early-day hammer-wielders from the dreaded purple-thumb, by removing the user's hands from the area of impact. But that also amplified the amount of force that could be delivered to the point of impact. During around 3000 BC, the Bronze Age brought with it the ability to shape soft metals. And with heads made of bronze being shaped with an eye, within which a tapered wooden handle could be inserted - we find a hammer that is not so different, from its modern day equivalent. Though bronze was soft, and it wasn’t until around 1500 BC, with the coming of the Iron Age, that the hammer really became the durable tool, that modern day craftsman are used to. Over the following centuries, handheld hammers went through thousands of small revisions as blacksmiths shifted weight and balance, and other personal touches. But largely, the hammer remained unchanged, until the time of the Industrial Revolution - when hammers powered by cams, spring and linkages were created that actually drove the hammer weight down. Increasing again the force applied to the hammer's blow. Which when combined with automation, would lead to the huge advances in the field of metal-work, that were common of the time. Later advances in design, from experimentation with materials such as steel, plastic, and fiberglass, advances in the designs of job-specific heads, and the invention in 1950, of the first pneumatic hammer, that was able to drive approximately 40-60 nails a minute, which for our purposes at least, essentially, brings the hammer up-to-date. 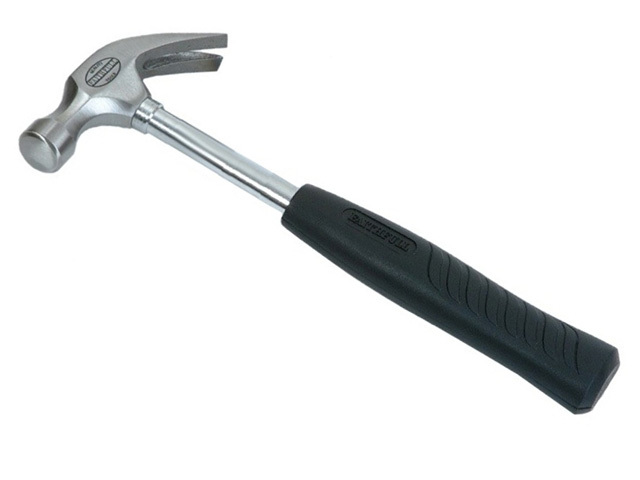 Though the hammer’s design, mutates, and evolves continuously still. With now even hammers, custom designed specifically for the job of constructing, and tuning Handpan, such as those offered by Jimmy’ House of Hammers, having been born to the world, in the wake of the Hang. Building on technology that is millions of years old, to facilitate the construction, of a much more modern-day musical instrument.